Fuel: Two pastries for brekkie, bag of peanuts, magnum ice-creams, coffee and coca-cola, baguette with mackerel in tomato sauce. “I’m not sure how far I’m going to get today.” Mat looked grim as he turned off the alarm and considered leaving the coziness of his sleeping bag. 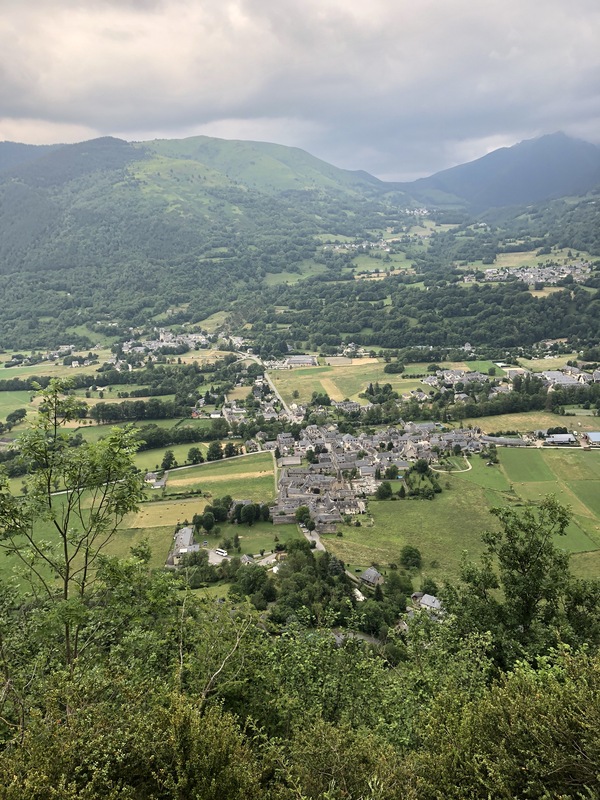 Twelve hours later, we were running down the hill into Vielle-Aure, straight to the pub. What happened? To be honest, I have no idea. We started the day feeling overwhelmed. Mat’s shin was feeling sore, which meant his mood was low, which meant my mood was low. 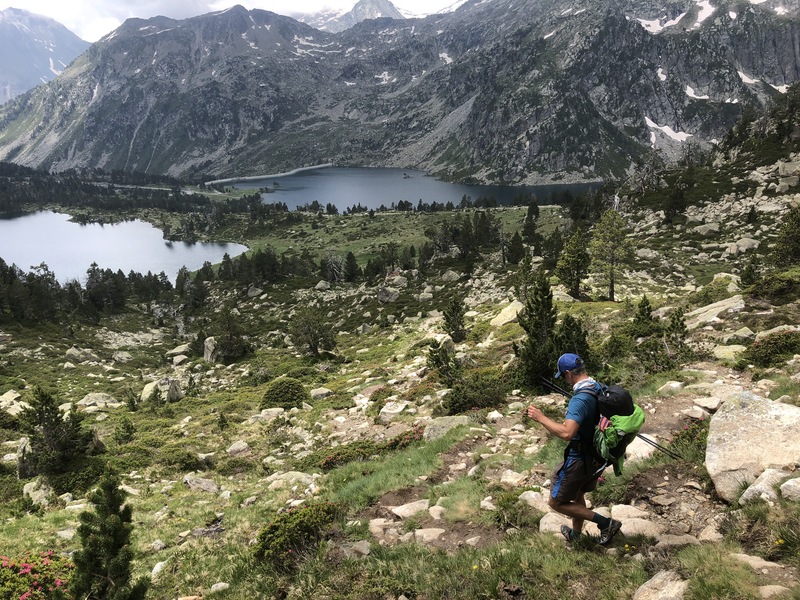 We were both just doing what we had to do to get over Col de Madamete, which happens to be the highest pass of the GR10 at a whopping 2509m. We climbed the pass without any dramas, breathed in the spectacular views, and started descending the other side. It was over the next pass – the Col d’Estoudou that we really started to flag. 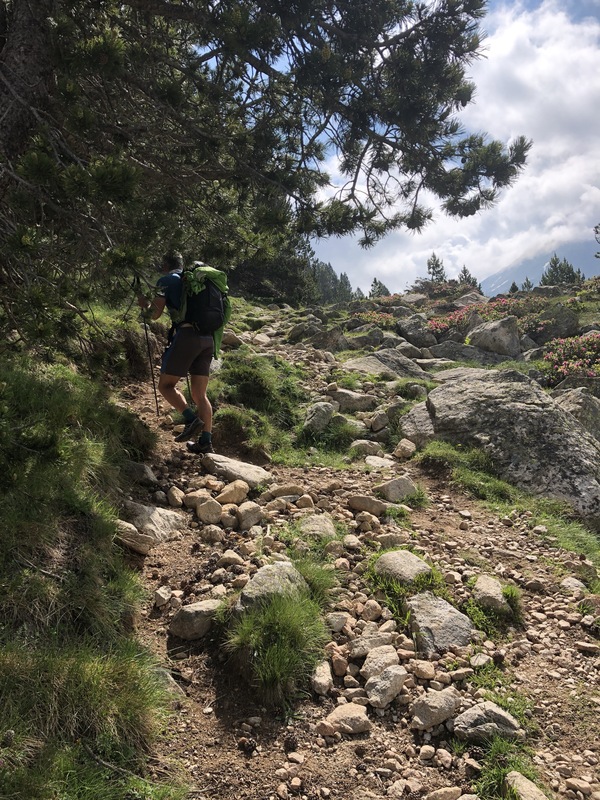 Turns out that 20km and god knows how much elevation takes its toll when all you’ve eaten is two pastries and a bag of peanuts between you, no matter how incredibly sweet and perfect the pastries were. We trudged to the top of the Col, surrounded by holiday makers (is it summer holidays already? There were so many people around for a Monday afternoon…) and didn’t even stop to take in the view. Even Mat couldn’t muster the enthusiasm for a photo. Straight down to Lac de l’Oule we went and we ran into the chalet near an impressive dam wall. It was 3pm and the kitchen was closed, just our luck, so we ordered the only food they had: ice-creams. Then, just because we could, we threw in a couple of coffees and cold drinks. 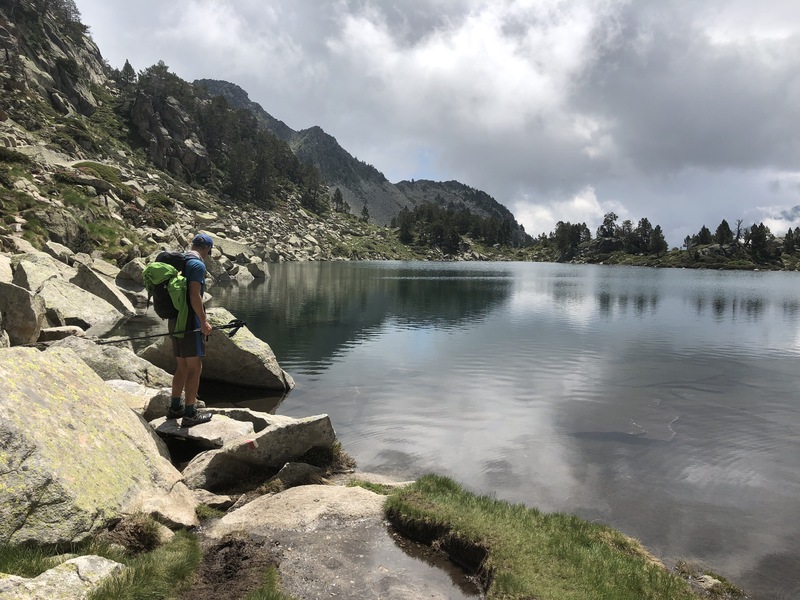 They say never go to the supermarket when you’re hungry – we should never go to an expensive mountain chalet when we’ve just run over a mountain or two. 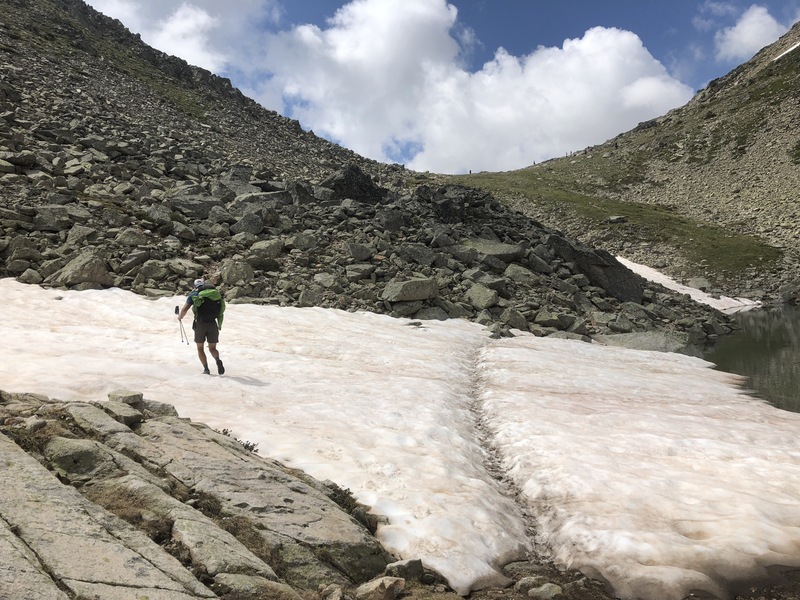 We filled our tummies with sugar and caffeine, and in the 20 minutes that followed, convinced ourselves that we could push on for the next 16km and reach the village. Surely, nothing to do with the caffeine and sugar flowing around our bodies and bringing us back to life…. 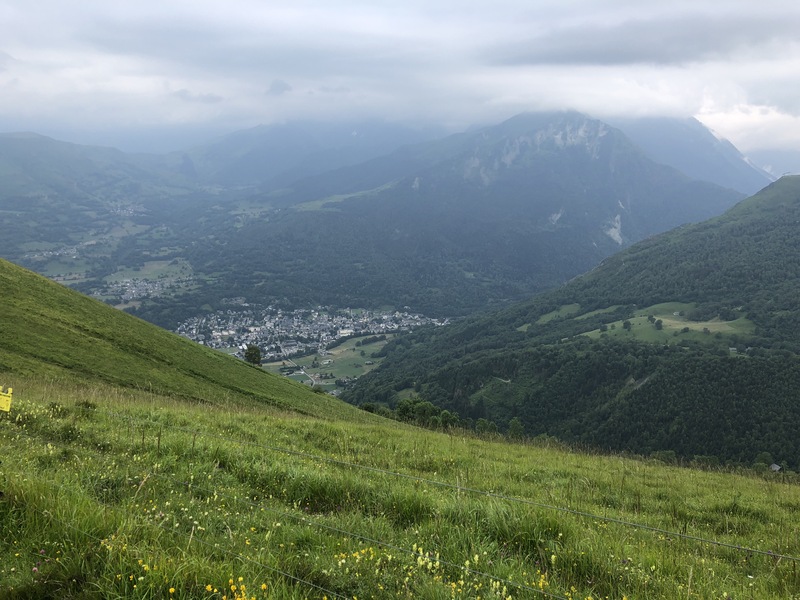 Even the freak hailstorm that drenched us in the first 20 minutes after leaving the chalet couldn’t dampen our spirits. 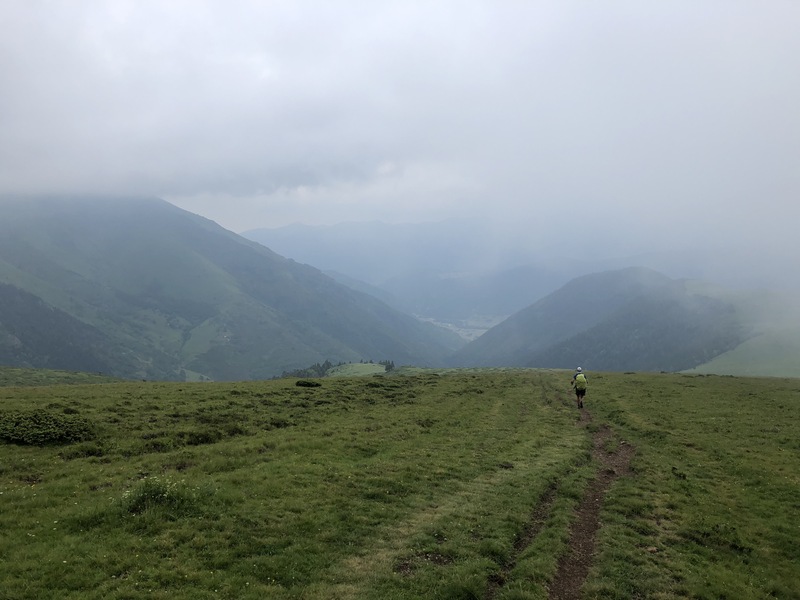 We ran, sodden and smiling, up to yet another pass and into a thick mist. 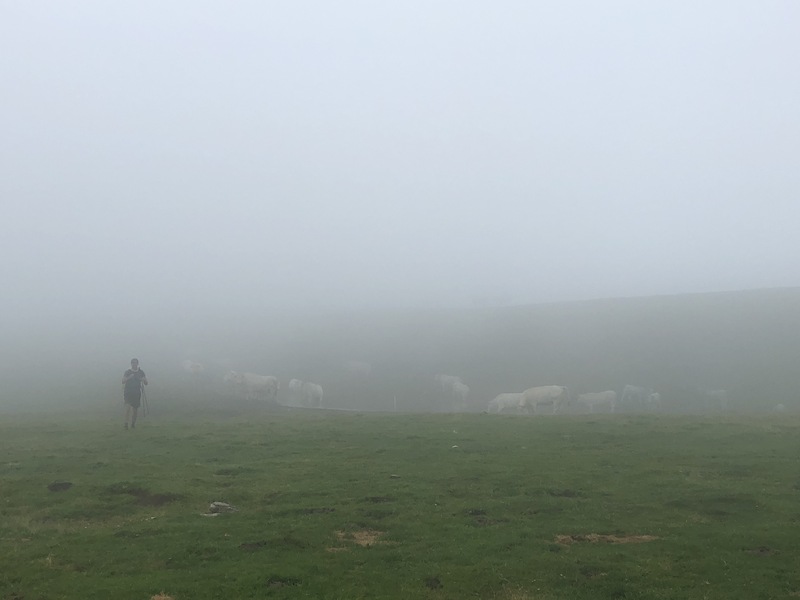 Dodging cows and sheep that we couldn’t see until it was too late, we navigated over the final hills before an hour of steep descent through the forest and into the wonderful village below. “I can’t believe we actually made it!” Mat grinned as he polished off a pint of his new favourite beer, a Grimberger Amber. Neither can I. But I reckon our knees will tell us all about it tomorrow!